Song of the day: Shake Some Action! – "Full Fathom Five"
I was contacted by a not-entirely-Australian chappy called James (Hi, James!). He’s not entirely Australian because he’s currently living in the land of Americans as the main dude in a band called Shake Some Action!. If you’re a fully-fledged, card-carrying power-pop fan, then you’ll instantly know why James called his band Shake Some Action!. 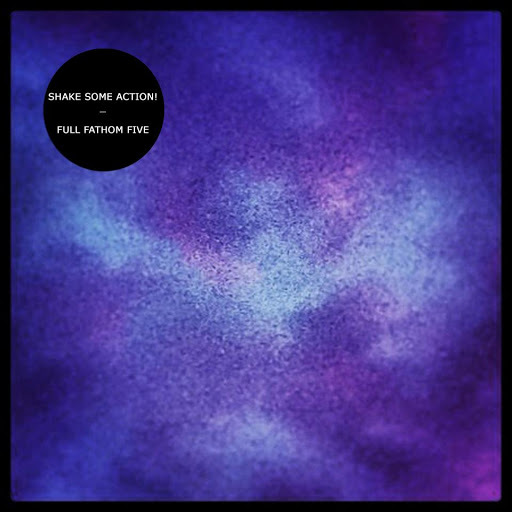 James told me about his Shake Some Action’s latest album, Full Fathom Five, and imprudently asked for my thoughts on it. I like the enthusiasm of this song, but for me there’s not much melody to hang on to. Those 12-string Rickenbacker guitars are catnip for power pop fans, but they’re not bewitching me because there are no memorable melodies or harmonies on top of them. Well, that’s what I think anyway. Groovy drums to begin the song. And more catnip! I like the psychedelic singing. It’s druggy, maaaaaan. (“Cool out, daddy-o. You don’t get our scene.”) I also like the “Ooh la la”s in the middle eight of the song (1:26-1:38). I’m guessing that’s the middle eight, because it’s the only time those “Ooh la la”s appear. I preferred this track to the opening one because I enjoyed the melodies more. By the way I’m about make a recommendation. I’m not a fan of acronyms, so I won’t type RIYL. I’ll type the actual words instead, after the next paragraph. Here’s my recomendation: if you like this particular song, then I’d like to point you in the direction of Australian band Deep Sea Arcade. They have an album full of this kind of thing. This is a representative track. So, Deep Sea Arcade are recommended if you like “Nothing Can Stop Me Now”. Another groovy track. This time it’s courtesy of the bass line. I wouldn’t mind grabbing my bass and playing that myself. So I’d be playing the riff on that. If you’re a musician, and you’re wondering why my bass looks a bit weird (i.e., not quite right), it’s because I’m left-handed, and play left-handed, but with the strings strung for a right-handed bass. My bass has a body for a left-handed player, and a neck that was originally on a right-handed bass. The right-handed bass that neck came from was what I learned to play on, but I played it left-handed because… well, because I’m left-handed. I was surprised at the slightly sharp singing at 0:37 and even sharper at 0:42-0:44, because up until then the singing had been fine. At the rate I’m writing this “review”, I will have spent all day on it. I need to speed things up. I like it a lot – iffy singing notwithstanding. Ha! If you’ve ever wondered what a combination of “Love Me Do” and “Please Please Me” would sound like, then wonder no more. Although, not so splendid was an aspect of the guitar solo (1:22-1:39) that irritated me. The bent notes weren’t bent enough for me. (I kept wanting them to go just a little higher.) And The bent notes at the end (1:38-1:39) were nowhere near high enough for my liking. Ah well. It’s only a song. A song from 1963. Yep. I like this one as well. OK. James’ voice in “Full Fathom Five” reminds me of John Linnell from They Might Be Giants. But it’s not as nasal as Mr. Linnell’s, which means I enjoy James’ voice more. Trivia: The solo guitar and the chords played underneath it from 2:47-2:51 reminded me of the Hoodoo Gurus’ “What’s My Scene”. Nice. And by “nice” I mean the guitar riff. Nice. I like this – apart from some of the lyrics (e.g., “No matter where you are, you’re a shining star” and “you knock me out” etc.). OK. I’ve just listened to “The Man With The Child In His Eyes” (sigh). What a song. I’m listening to “The Girl With The Sun In Her Eyes” now, and that vocal melody sure sounds like I’ve heard it somewhere else. All this 12-string Rickenbacker action (especially from 2:07-2:29 in this song) is reminding me of The Turnback and their 2011 album, Drawn In Chalk. For me, the opening riff of this song came perilously close to the riff in Deep Purple’s “Black Night”. But then the rest of the band joined in and it became another Merseybeat/mid-1960s-inspired song (i.e., not Deep Purple). Another retro song – which is fine by me, because I’m enjoying this album a fair bit. By the way, James’ voice in this song, and in most of the other ones, reminds me a lot of Andrew Cox from Australian band The Fauves. I liked the Hammond organ solo (1:58-2:16). Groovy. Oh, before I forget: the opening line (“Every night I see her through my window”, from 0:15-0:19) sounds a bit stalker-ish to me. But I like the song. Here’s another example of a song title reminding me of another song. This time, “Rivers Of My Mind” made me think of “The Canyons Of My Mind” which, musically at least, is not all that similar to this song. Speaking of reminders, at 2:03/04 in this song James sings the word “cellophone”. The Turnback (that band I mentioned when commenting on track 8) have a song called “Cellophane Sky“. So maybe James is familiar with The Turnback. Or not. And yes, the title did remind me of this. I like this. Don’t love it, but I like it. This one was a little more Creedence Clearwater Revival than The Beatles. I didn’t mind it. Given that I wasn’t a huge fan of the last two tracks, I’d say this album would have been better at 12 tracks. But it’s pretty good anyway. You are currently browsing the archives for the Shake Some Action category.